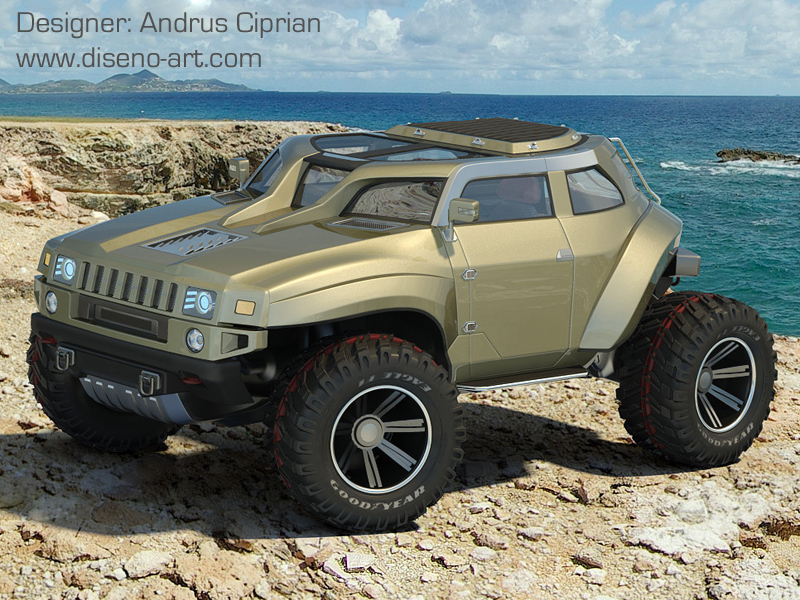 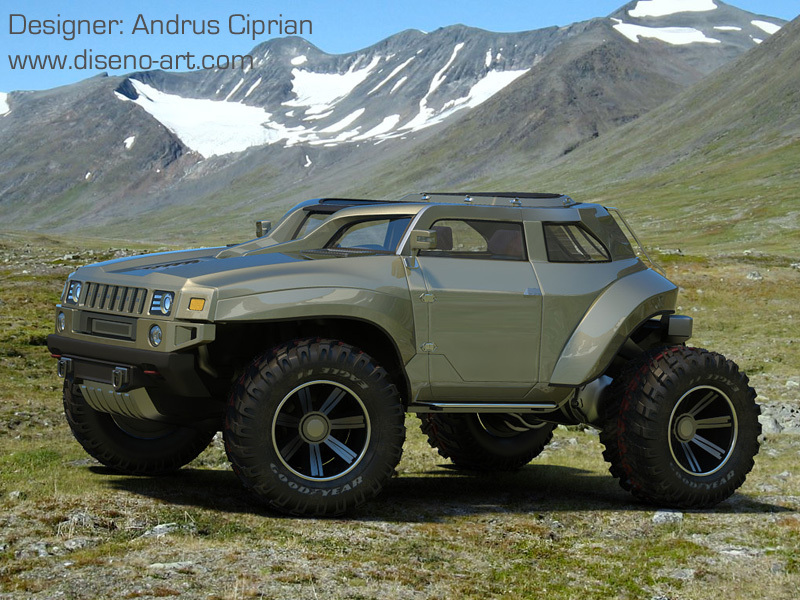 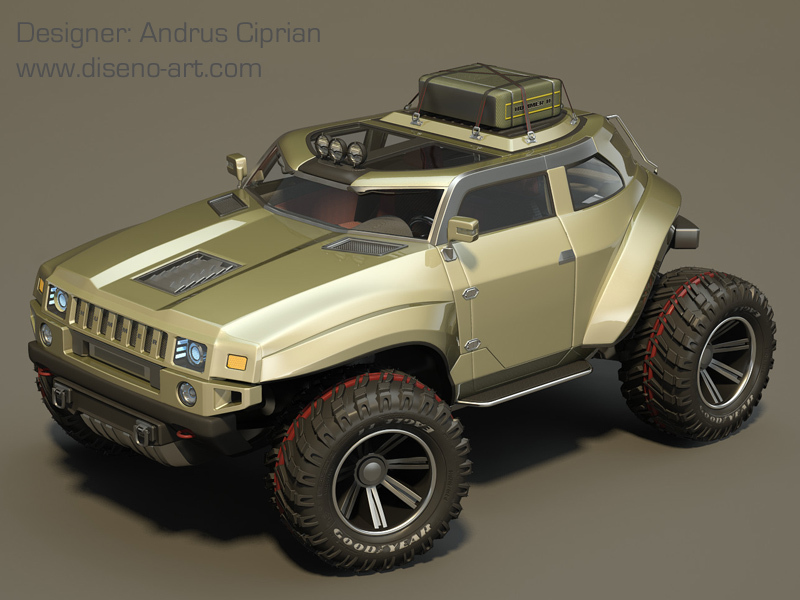 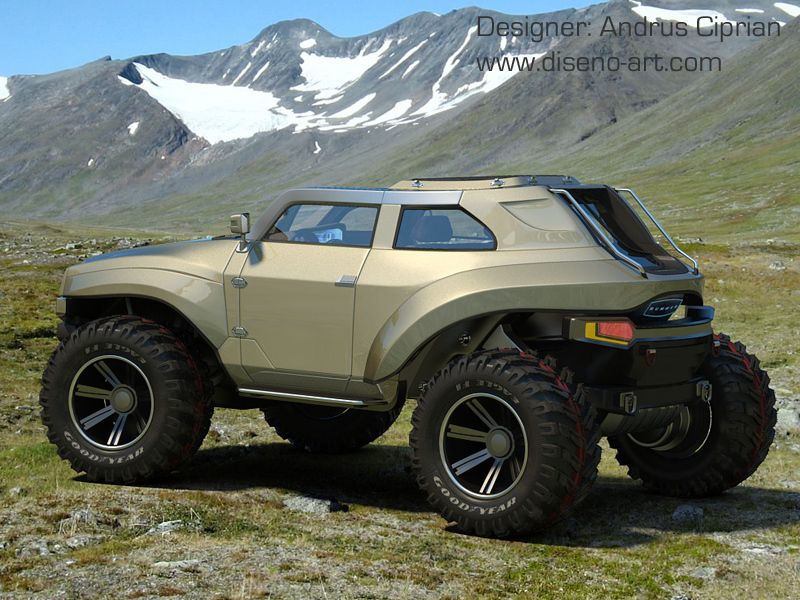 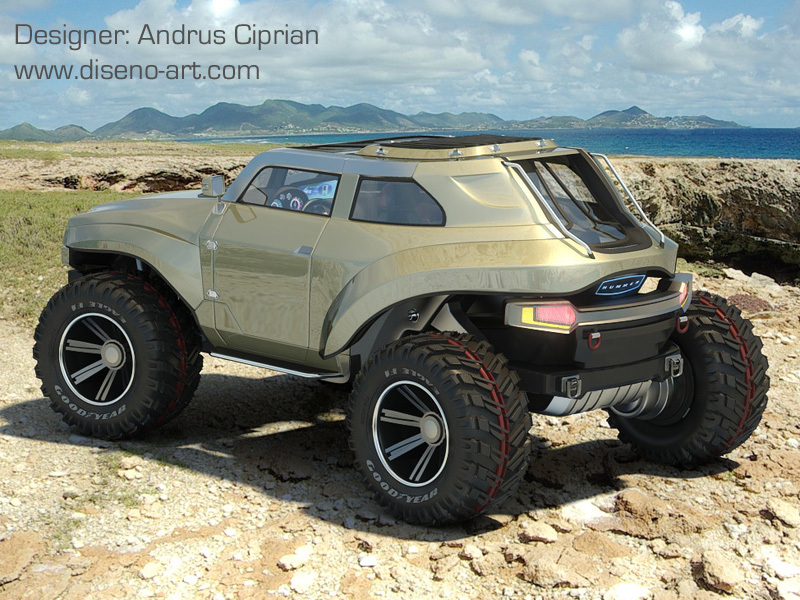 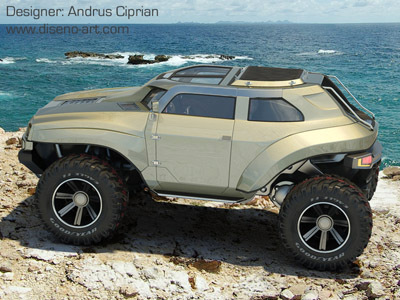 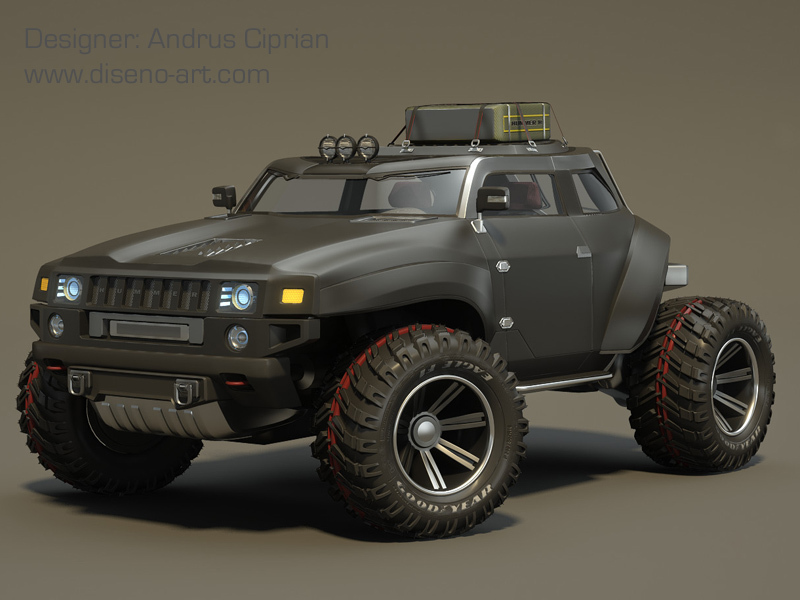 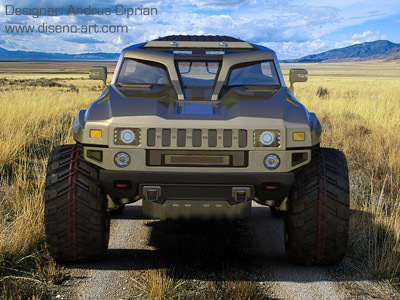 A creation of Romanian designer Andrus Ciprian, the HUMMER HB is an extreme off-road vehicle with almost no front or rear overhangs, and massive wheels and tires for tackling almost any surface. The HUMMER HB is powered by a V6 engine which is biofuel capable. Power is sent to all four wheels through a six-speed automatic transmission.